In the quest for continued size with definition, you will use comparatively low repetitions to build size. 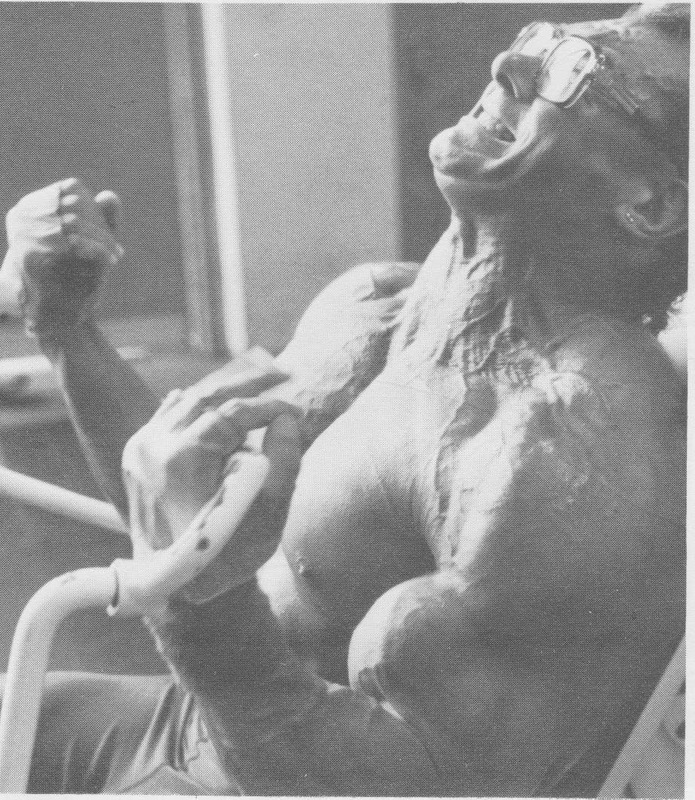 Rest periods between sets will be cut down to a minimum, creating cardiovascular stimulation. To do this most effectively, you will utilize Supersets and Trisets. These are done by alternating two exercises (supersets) or 3 exercises (trisets), each one designed to hit a different muscle group of the same body part. Let's use the shoulders as an example. Begin with a set of alternate front raises with dumbbells. This works the front deltoid. Follow this immediately with (no rest) with a set of side lateral raises for shoulder width. This is quickly followed by bentover laterals, which work the rear delts. Now go back to the first exercise and continue the next cycle. You can train faster with this method, as one area of the muscle rests while you work the other fibers. Rest only as long as it takes you to move from one exercise to the next. Try to keep the equipment you use close together. Where this is not possible, move as quickly as you can. This method keeps a constant pump and will enlarge the veins and build capillaries. If you've never tried supersets and trisets, you'll be surprised at the pump. The exercises in the workout are laid out in the order that best keeps the blood flowing from one area to the next closest muscle group. It is a 2-way split routine. Work out 4 days in a row and rest on the 5th. Go through each set 3 times. You can increase this to as many as 5 sets depending on how advanced you are. Don't be psyched out by having to drop your poundages considerably. They will increase as you adapt to the rapid pace. Always strive to use heavier weights, but always in good form.